Our attorneys are investigating claims that Merck’s Zostavax shingles vaccine can cause serious side effects and even death in the months after the vaccine is administered. If you or someone you love developed shingles anytime between three weeks to 12 months after receiving the Zostavax vaccine or were diagnosed with certain serious conditions within two years of receiving the Zostavax vaccine, our attorneys want to hear from you. Fill out our free, no-obligation form to speak with our legal team. Zostavax is a vaccine made by pharmaceutical giant Merck, and was approved by the U.S. Food and Drug Administration in 2006. It was the only approved shingles vaccine in the United States until late 2017, which allowed the company to earn as much as $749 million in sales from the vaccine in 2016, according to reports. 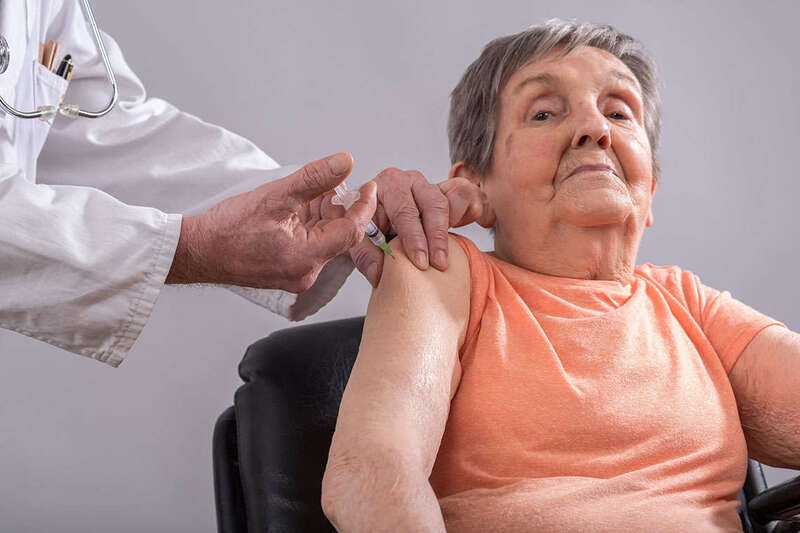 This vaccine is designed to reduce the risk of getting herpes zoster — a painful and debilitating condition commonly known as “shingles” — in individuals ages 50 years and older, who are at increased risk of developing the virus. Zostavax differs from some vaccines in that it contains a live, but weakened form of the herpes zoster virus (this is officially referred to as a “live, attenuated virus”). People with weakened immune systems cannot receive these types of vaccines. But more serious complications can occur, including stroke, congestive heart failure, autoimmune disorders, hearing loss, vision loss, spinal cord inflammation, and even death. Shingles is a viral infection that can cause a painful blistering rash and serious complications, especially for seniors, who are more susceptible to the virus. People over the age of 50, patients undergoing cancer treatments, and those with weakened immune systems have an increased risk of developing shingles. The rash can develop on the side of the body or the face. Serious complications of shingles include loss of vision, pneumonia, hearing loss, brain inflammation, as well as post-herpetic neuralgia (PHN) and death. One serious complication associated with shingles — and with the Zostavax vaccine, according to complaints — is post-herpetic neuralgia, or nerve pain and damage caused by the virus. Patients with post-herpetic neuralgia suffer burning pain, throbbing, extreme sensitivity, itching, and numbness around the area of skin where the shingles outbreak initially occurred. This condition can last long after the shingles blisters clear up, according to Mayo Clinic. Those who suffer from post-herpetic neuralgia can also develop depression, fatigue, difficulty sleeping, lack of appetite, or difficulty concentrating. People have filed lawsuits over serious injuries they say Zostavax caused, ranging from vision and hearing loss to death. Zostavax has also reportedly caused shingles — the very condition the vaccine is designed to prevent — in some recipients of the vaccine. Others recipients of the vaccine have reported eye problems such as acute retinal necrosis and blindness, along with seizures, paralysis in their limbs, brain damage, and even fatal liver failure. One man lost the ability to walk shortly after receiving the Zostavax vaccine, according to a lawsuit filed in New Jersey by Morgan & Morgan attorney Michael Goetz. The plaintiff, Norman Sukkar, was hospitalized and diagnosed with acute transverse myelitis — an incurable inflammation of the spinal cord — less than five months after receiving the Zostavax vaccine on the recommendation of his doctor. The lawsuit alleges that Merck’s defective Zostavax vaccine was the direct cause of Mr. Sukkar’s permanent injuries, and that the vaccine poses a serious risk of bodily harm to consumers. Another woman developed blurred vision, dizziness, and a headache within 24 hours of receiving the Zostavax vaccine in 2014. As a result of the vaccine, she is still suffering from injuries to her right eye, elevated blood pressure, dizziness, and other physical and emotional injuries, her suit alleges. As of early 2019, the U.S. District Judge of the Eastern District of Pennsylvania has selected the initial cases in the Zostavax multidistrict litigation. The cases will be grouped into two categories and prepared for 5 trials set to take place between fall of 2020 and summer of 2021. Group A will consist of cases where plaintiffs developed shingles as a result of the vaccine, and group B will consist of cases where plaintiffs developed non-shingles related injuries. These cases are considered “bellwether” cases which means that the results of these cases will set the tone and expectations for future cases. It is believed that these cases could be settled long before going to trial. Beyonds lawsuits that claim Zostavax can cause serious injuries, the American health system is shifting away from recommending Zostavax in favor of what is reportedly a safer and more effective vaccine. In October 2017 the Advisory Committee on Immunization Practices, which advises the CDC, officially began recommending a new shingles vaccine over Zostavax. The new vaccine, Shingrix, is manufactured by pharmaceutical giant GlaxoSmithKline and was approved by the FDA in October. The vaccines differ in a few ways. Studies show that Shingrix is 98 percent effective against shingles for people between the ages of 50 and 69, and 91 percent effective against post-herpetic neuralgia for people 50 and older, according to The New York Times. By comparison, Zostavax is 51 percent effective against shingles and 67 percent effective against post-herpetic neuralgia. Additionally, while Zostavax uses a live, but weakened form of the whole herpes zoster virus, Shingrix uses a non-live piece of the virus (also known as a “sub-unit vaccine”), which can reduce the possibility of an adverse reaction. Sub-unit vaccines can also be safely used on most people with weakened immune systems and long-term health problems, according to the U.S. Department of Health & Human Services. What Could I Collect in a Zostavax Lawsuit? If you are eligible to participate in a Zostavax lawsuit, you could receive compensation for medical bills, lost wages, pain and suffering, and more. By participating in a Zostavax lawsuit, you could also help to hold Zostavax manufacturer Merck responsible for alleged negligence and failing to warn patients about the potential serious side effects of the vaccine. Who Can Participate in a Zostavax Lawsuit? Contact us today by filling out our free, no-obligation form.